Alting won his sixth term in the Indiana Senate Tuesday. 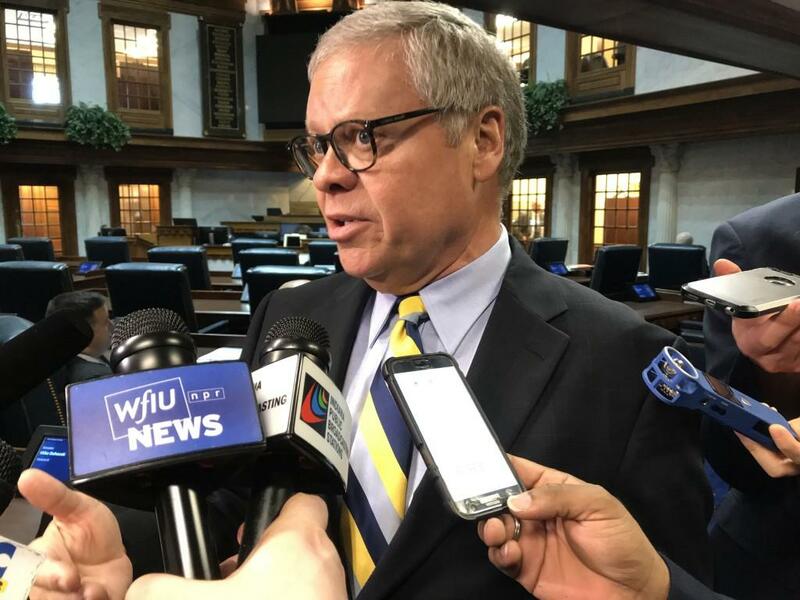 Incumbent State Sen. Ron Alting (R-Lafayette) easily won his bid for the Indiana Senate’s District 22 seat Tuesday, topping Democratic opponent Sherry Shipley, who’d entered the race late last year. By 11 p.m., with nearly 40,000 ballots counted, Alting had secured more than 55 percent of the vote, compared to Shipley’s 45 percent. With the victory, Alting will extend his 20-year tenure as a state senator. First elected in 1998, he currently serves as chairman of the Senate Public Policy Committee and most recently has been an influential figure in recent legislation legalizing Sunday alcohol sales and naming the Say’s Firefly as Indiana’s state insect. “I think of studying campaigns knowing that there was going to a [Senator Joe] Donnelly wave coming through Tippecanoe County and preparing that by running a good solid campaign, keeping positive, reminding the people what you’ve done for them and what bills you’ve got to the governor’s desk successfully, and also your vision for the future,” Alting says. Shipley, a dean at Ivy Tech Community College – Lafayette, announced her candidacy in December to challenge Alting, who had been running unopposed. Shipley had considered running in what became a crowded Democratic primary race for Indiana’s Fourth Congressional District – a race that also ultimately went to a Republican Tuesday. Shipley’s underdog campaign was not enough to overtake Alting dominance of the airwaves with political ads. The incumbent also raised more than $200,000 from April to October, compared to Shipley’s $35,000, according to campaign finance reports posted online by the Indiana Secretary of State’s Election Division.